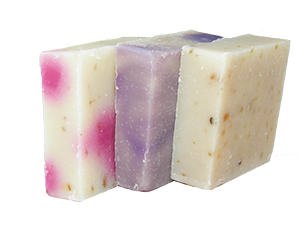 Please enjoy my moisturizing, yet deep cleansing nutrient filled cleansing bars in your bath and shower. We sell these gently cold processed bars by the inch. Actual size is 3 inches x 3 inches x 1 inch. Available in many beautiful Bath Bomb complementary scents including the most gentle Goat’s Milk for the babies in your life. Fresh Goat’s Milk– Goat’s Milk contains alpha-hydroxy acids such as lactic acid which help remove dead skin cells from your skin’s surface. This leaves new cells on the surface of your skin that are smoother and younger looking. The alpha-hydroxy acids are so effective because they break down the bonds that hold the dead skin cells together. Removing dead skin cells will help many skin conditions by removing irritation. 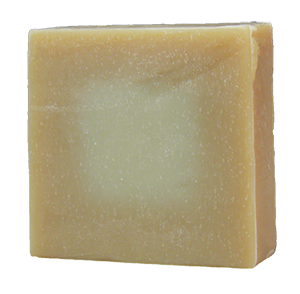 Water-based soaps may use harsh chemical acids to accomplish this, frequently with skin-damaging results. Unscented. 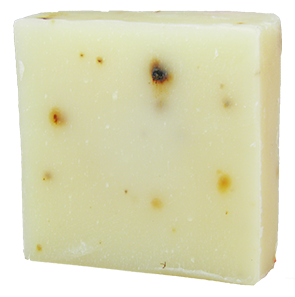 Apricot Chamomile – Dating back to the ancient Roman, Greeks and Egyptians, the Chamomile Flower was believed to contain both magical and healing properties. 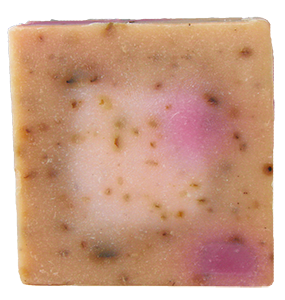 It is likely that Chamomile was used by the Romans for skin conditions. Chamomile flowers were also scattered on the floors at banquets to perfume to the air during celebrations. The Greeks also used Chamomile to scent the air by making garlands. 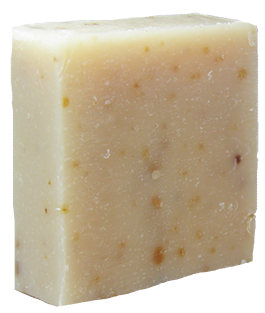 Egyptians included the use of the Chamomile Flower on the skin and probably used it in cosmetics and hair care products as well. It was used in rituals and ceremonies by the Egyptians as well. It was considered a natural skin lightener. 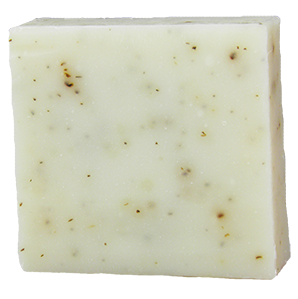 Used in the bath, Chamomile promotes a healthy glow of the skin as it heals and restores its natural moisture content. It is also known to soothe and heal burns. 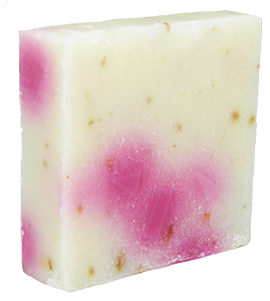 First Love – Fruity & floral with Top notes of strawberry, black currant, cassis, peony, pink jasmine and tiger lily. 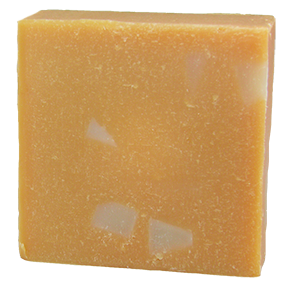 Base: amber wood, white patchouli, musk and vanilla. Neon pink with light pink accent and real dried flower petals. Jungle Love – Children’s Favorite! Top notes of fresh bananas and juicy grapefruit, middle notes of kiwi, juicy bubblegum, and strawberries; and a hint of vanilla as a base note. The child in you will want to endulge but your children will love it more! Best seller for young children. Tuscan Garden – With its manicured fields, rustic farms, cypress-lined driveways, and towns clinging to nearly every hill, Tuscany is the romantic image of village Italy. Featuring historic towns, exquisite art, fertile olive groves and idyllic vineyards, Tuscany is the Italy we all dream about. Our version of Italy is My Garden is Tuscany which is a tangerine and citrus cocktail with top notes of tangelo, middle notes of orange and grapefruit. It is the perfect balance of uplifting and soothing. 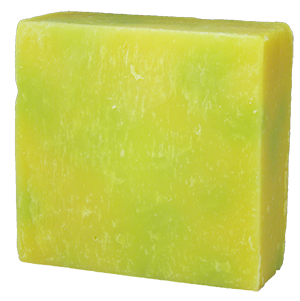 Mountain Spa – Eucalyptus and Aloe. A genus of the plant family Myrtaceae native to Australia and cultivated worldwide, Eucalyptus can boosts energy and mental clarity, help break up congestion and ease sore, achy muscles. Makes for a restorative aromatherapy bath. It facilitates easy breathing, enhances feelings of relaxation, creates a refreshing feeling when used in baths, soothes nervous tension, and helps clear the mind, among its various other benefits. A true spa experience. Pine boosts the immune system, stimulate circulation, protects against pathogens, and improves respiratory health. Cookies & Milk – Cleopatra was famous not just for being a queen of ancient Egypt, but also for being remarkably beautiful and smart. She was also well known for taking her milk baths, which she often infused with honey and oatmeal. She was wise to do so; milk is great for the skin. It is both moisturizing and exfoliating. It leaves skin feeling silky soft, with a healthy glow while oatmeal soothes irritated skin and honey is loaded with minerals, vitamins, antioxidants, and natural enzymes that literally nourish your skin from the outside in. Honey also attracts and retains moisture. 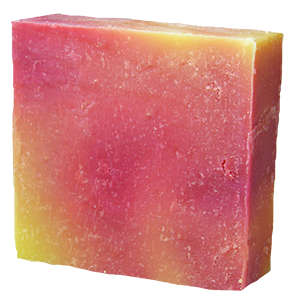 Rose Petal – A combination of citrus, cherry blossom, hydrangea, apple and peach with a hint of blonde wood. Chocolate/Mint – Chocolate has been known as the “Food of the Gods” for most of its four-thousand-year history. From hydrating parched skin to smoothing fine lines, Chocolate indulgence boasts some amazing beauty benefits. Chocolate boosts blood circulation to the fine skin capillaries in the top layer of your skin, helping them to draw more oxygen and nutrients to protect the skin against dehydration and burns. Mint has been cultivated for so long, that some believe it would be virtually impossible to find it growing in its original form in nature. Biblical references to mint suggest it was of such high value as to be used as tithes by the Pharisees along with anise and cumin. As an aromatic ingredient, Mint can soothe the senses and provide a pleasant scent to a variety of products for daily use. It can help improve your skin’s condition. Because Mint contains Vitamin A, it may strengthen skin tissue and help reduce oily skin. Violet Innocence – Folklore says the Violet connotes a love that is delicate. The sensibility of delicacy is also associated with the Violet from ancient mythology. The Violet, the traditional Valentine’s Day flower, celebrates modesty, virtue, faithfulness, humility and possible happiness. According to legend, the Christian priest St. Valentine wrote love notes using ink made from the violets he grew. 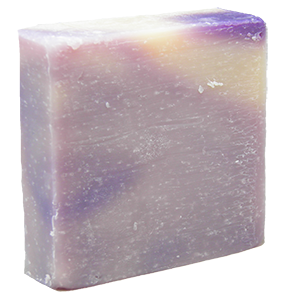 Violet is gentle acting on the skin and is well-known for its ability to help with a number of skin conditions. The leaf, as well as its flowers, has been used traditionally to treat a host of skin issues. Violet essential oil is especially useful on dry skin and can help soothe and heal inflammation as well as thread veins. 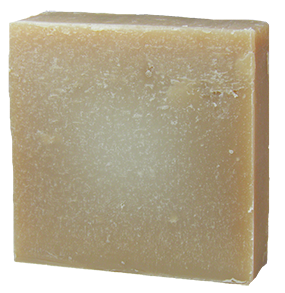 It can also be used as a natural treatment to deal with common skin conditions like acne and eczema. 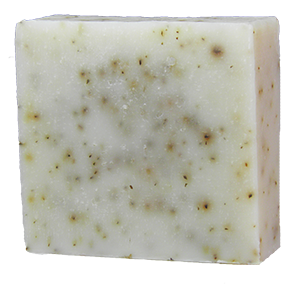 Can be used in the bath to bring about a certain emotional state such as relaxation. A beautiful combination of African Violets. Sandalwood – Sandalwood can be found throughout the history of many cultures. It was an important medicinal herb in traditional Tibetan and Chinese medicines and by 700 BC, it could be found in Egyptian embalming formulas and became an important trade item. Sandalwood has long been a part of Indian culture, both the tree itself and the oil that it produces. Indulge with our Sandalwood Bath Bomb and Cleansing Bar with a woody bouquet of sandalwood and cedar with a hint rose and jasmine. 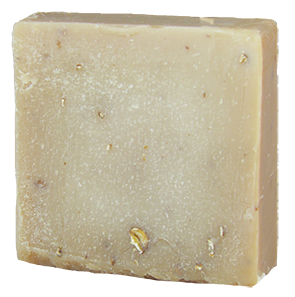 Helps to achieve clarity and calmness, makes skin softer and more radiant. Helps relive skin itching and infections. It also helps in subsiding inflammation, skin redness and sore skin. Lavender – Provence, fields of lavender, sunflowers and olive trees. A slower pace of life, a Sunday lunch under the shade of plane trees in a village square, a café crème at a sidewalk café, or a long walk through a forest of oak and chestnut trees. The early Greeks learned a lot about Lavender flower perfumes and the use of aromatic herbs from the Egyptians. The Romans learned about this knowledge from the Greeks and used Lavender flower lavishly in their public baths, to perfume themselves and their homes. English royalty was particularly fond of Lavender and it was used throughout the castles for everything imaginable. Floors and furniture were washed in Lavender and all the linens perfumed with its sweet scent. Lavender has the ability to relieve stress, improve mood, promote restful sleep, lower skin irritation, and reduce inflammation. Offering moments of relaxation and well-being, a Lavender bath is truly a religious experience. 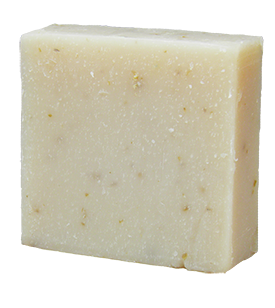 Tea Tree Mint – Your skin will greatly benefit from the incorporation of spearmint in your daily beauty regimen. It serves as a natural skin brightener which removes flaky dry skin on the top and reveals the plump, fresh skin underneath. 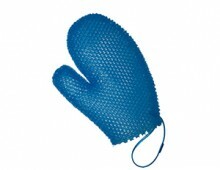 It is very useful for those who chronically suffer from acne. By controlling the excess oil secretion of the pores, it leaves your skin feeling soft yet not greasy. Red Roses – The red rose began its illustrious symbolic history in Greek and Roman iconography, where it was tied to Aphrodite, or Venus, the goddess of love. Later, in early Christian times it became associated with the virtue of Virgin Mary. Throughout its long, storied history, the red rose still reigns as the ultimate symbol of passionate affection. Roses are widely considered the most beautiful flowers in the world. This flower is an integral part of innumerable stories, legends, myths, and legacies. People who do not know about any of its medicinal properties can still tell you about one undeniable property; a beautiful, red rose can invoke romantic feelings in even the hardest of hearts. Drop in your bath for a luxurious experience, and more. This fragrant flower helps rejuvenate and replenish skin. When used aromatically, rose calms and soothes the mind. 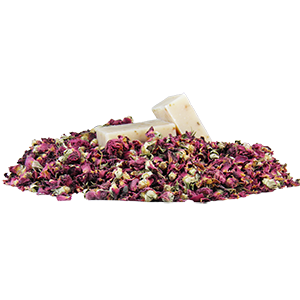 In fact, rose petals are a staple in Ayurvedic medicine to detoxify and calm. While this characteristic doesn’t directly add beauty benefits, it sure makes that rose-scented bath an extra pleasant experience. Go ahead, indulge! Truffles – Accidents happen, and sometimes for good reason; the chocolate truffle is one such case. Supposedly created in the 1920s when an apprentice under the culinary legend Auguste Escoffier made a botched batch of pastry cream, these luxurious chocolate treats were the result of one big accident. 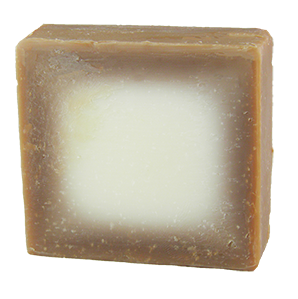 You will love our Truffles triple chocolate cleansing bar.